NJPW New Beginning begins in Sapporo! Before facing off for the tag team titles, EVIL & SANADA take Zack Sabre Jr. & Minoru Suzuki on separately! 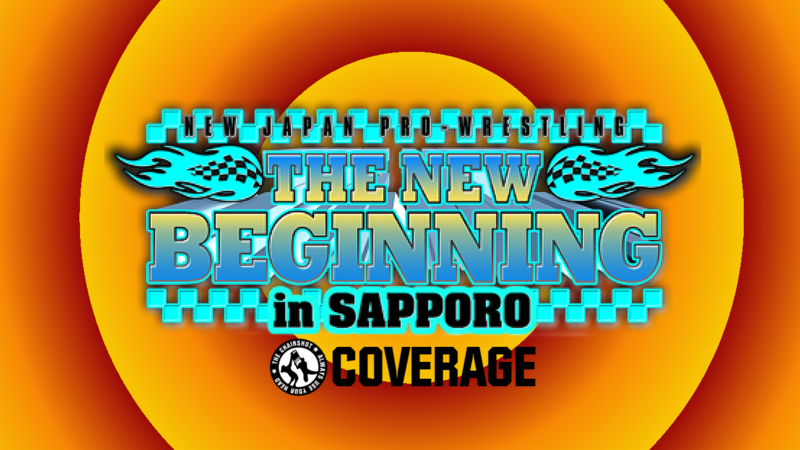 This coverage of New Beginning in Sapporo will be as aired by AXS TV. SANADA VS Minoru Suzuki; Suzuki wins. EVIL VS Zack Sabre Jr; EVIL wins. Wrestle Kingdom made the Los Ingobernables de Japon GOLDEN! 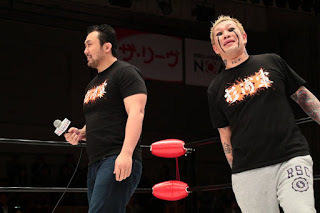 But then New Year Dash brought them crashing down as Suzuki-Gun brutalized them from before and even after their 10-Man Tag. Naturally, the Undisputed British Tag Team Champions, Zack Sabre Jr. and Minoru Suzuki himself want to take the IWGP Heavyweight Tag Team Championships from Evil and Sanada. The night will have singles matches pitting halves of these teams against each other. The grudges are strong, but whose New Beginning will be better? The Cold Skull takes on the Man with the Worst Personality, the King of Pancrase himself! Will Suzuki show even less mercy to Sanada than his other opponents? Or will Sanada’s stoic strength surprise him? The bell rings and Suzuki hears the fans on Sanada’s side. Sanada and Suzuki pace and then rush in! Sanada blocks the boot but gets Suzuki down. Suzuki escapes Sanada’s grip, not wanting to visit Paradise. Suzuki and Sanada approach and tie up, and Suzuki gets the wristlock. Sanada spins and reverses but Suzuki reverses back to a hammerlock. Sanada slips around to his own headlock, but Suzuki brings him down to a knee. Suzuki gets the headlock now, but Sanada fights out. Suzuki grabs hair but Sanada trips him. Sanada wants Paradise but Suzuki kicks him away! Suzuki whips but Sanada dropkicks the leg out. Sanada has the legs again, but Suzuki drags him into an armbar! Sanada gets out, gets the legs, and puts Suzuki in Paradise! Fans cheer as Suzuki suffers and Sanada stands on him! Sanada then builds speed and dropkicks Suzuki out of Paradise! Fans cheer and laugh, but Suzuki goes right after Sanada! He fires forearm after forearm in the corner but the ref backs him off. Suzuki shoves the ref then goes after Sanada on the outside. Apron Penalty Kick knocks Sanada off his feet! Suzuki drags Sanada up and throws him into railing. Then he bumps Sanada off the announce desk, and jabs him with a chair. The referee gets in the way but Suzuki shoves him to kick Sanada. Suzuki drags Sanada all the way around to bounce him off commentary’s chair. Suzuki takes that chair and SMACKS Sanada with it! Sanada staggers away but Suzuki gives chase! Suzuki grabs Sanada to throw him into fans! He even takes the row of chairs apart to choke Sanada with a seat! The referee reprimands Suzuki but Suzuki lets up on Sanada. Suzuki takes the referee but the referee tells him that’ll be a disqualification. Suzuki dusts the ref off and peacefully heads back to the ring. But then he pulls apart railing and brings that back for Sanada. The referee again reprimands Suzuki so Suzuki shoves the ref with that railing. Suzuki just grabs more railing, and slams it on Sanada! Suzuki pulls more chairs apart to throw them on Sanada! The referee starts the ring count and Suzuki goes back. Suzuki returns at 14, and Sanada emerges at 15! Sanada sprints and gets in at 17! Fans applaud but Suzuki tauntingly kicks Sanada around. Sanada sits up and Suzuki eggs him on. Suzuki throws a big haymaker and Sanada falls. Cover, TWO! Suzuki keeps on Sanada with a double wristlock. Sanada endures as Suzuki rests his weight on him. Suzuki sits up and mounts Sanada for another angle, then shifts to another. Sanada continues to endure the Kimura, even as Suzuki pulls fingers. Sanada crawls with his feet and gets the ropebreak! 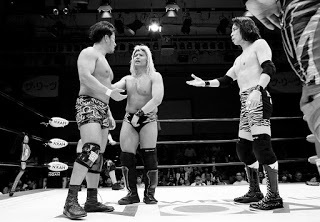 Suzuki lets Sanada go but just to stomp him. Suzuki kicks Sanada as he sits up, and Sanada gets to a corner. Sanada stands but Suzuki slaps him around. Sanada CHOPS so Suzuki CHOPS! Suzuki eggs Sanada on as he CHOPS! Sanada whips, Suzuki holes ropes and fakes out the dropkick. Suzuki Penalty Kicks but Sanada catches it! Sanada dragons crews but Suzuki counters with an armbar takedown! Sanada scrambles around and kicks his way to standing up. Suzuki rolls him over! But Sanada gets the ropebreak! Suzuki lets Sanada go again, and he scowls as he stomps Sanada more. Suzuki drags Sanada up, then wrenches the arm. He elbows the shoulder and Sanada backs away to a corner. Suzuki slaps Sanada and then throws more forearms. HE whips but Sanada dodges to dropkick the legs out! Sanada blocks a kick, dragon screw connects! Fans rally up while both men are down. Sanada drags Suzuki up to whip and shows off his hurdling. He dropkicks Suzuki down but Suzuki bails out, so Sanada slingshots out! Direct hit and fans fire up! Sanada has control while we go to break. 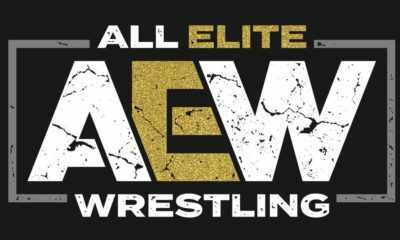 NJPW on AXS returns and Sanada puts Suzuki into the ring. Sanada throws forearms on Suzuki in the corner, then stomps. He whips corner to corner but Suzuki reverses. Suzuki boots and snapmares Sanada to then Penalty Kick him down! Cover, TWO! Fans cheer Sanada but Suzuki again kicks Sanada tauntingly. Suzuki slaps Sanada again as Sanada sits up. Sanada stands and chops, but Suzuki throws a forearm back. Sanada chops, Suzuki chops, repeat! They go chop for chop ad Sanada gets an edge. Sanada whips but Suzuki reverses. Sanada tumbles, springboards, but Suzuki dodges to get the sleeper hold! They go around and the referee checks on Sanada. Suzuki spins Sanada for the piledriver but Sanada blocks. Suzuki knees hard, but runs into a fireman’s carry. But he slips into the sleeper again! Sanada powers Suzuki off, for Skull End! Suzuki flails and grabs at the ref! Sanada keeps trying, and gets the body scissors! Suzuki has to let go of the ref and now he’s trapped! Sanada decides to let go and put Suzuki in a drop zone. Sanada climbs, moonsault onto knees! Suzuki and Sanada are both down, but fans are still cheering. Suzuki sits up first as he gets his bad leg going. Sanada stands and throws a forearm. Suzuki staggers but comes back with his own forearm. Suzuki eggs Sanada on so Sanada throws a forearm. Sanada lets Suzuki come back to throw his own forearm, and throws his own. They go back and forth again and it speeds up, until Suzuki throws one BIG forearm! Sanada shoves Suzuki and wants more?! So Suzuki gives him another BIG shot! Sanada staggers about but Suzuki’s on him with an even heavier shot! Sanada falls and Suzuki feels he’s won. Fans rally for Sanada and it angers Suzuki! Sanada gets up but Suzuki’s on him with another shot. Sanada fires off many shots from both sides! But Suzuki SLAPS him on the spin. Suzuki throws more palm strikes, slapping Sanada around. Sanada uses one to get momentum on the roaring elbow! Sanada runs but into Suzuki’s dropkick! Both men are down and the referee checks on them. They’re okay to continue and Suzuki is first to sit up. Fans rally up again and Suzuki waits for Sanada to rise. Suzuki throws more palm strikes, but Sanada stays standing. Sanada swings, but into Suzuki’s sleeper! Fans rally for Sanada but Sanada is fading fast! Suzuki keeps on him, then shifts to the piledriver! Suzuki lifts, but Sanada fights out! Sanada lifts Suzuki and back drops him! Sanada runs, Suzuki follows, but Sanada escapes the sleeper! Roll up, European Clutch, TWO, into the sleeper! But Sanada fireman’s carries! Suzuki slips out and whips but runs into an elbow. Sanada springboards for the moonsault but Suzuki gets under. Suzuki starts throwing hands but Sanada counters to a Sliced Bread, into the dragon sleeper! Sanada wants it, and gets Skull End! But Suzuki rolls through, sleeper to GOTCH PILEDRIVER! Cover, Suzuki wins! The King of Pancrase wins out! That’s one win already for the Undisputed British Tag Team Champions against LIJ! Backstage interview with Minoru Suzuki. “What? You didn’t think I could beat Sanada?” Hey, you Los Ingobernables. Suzuki doesn’t need cheap tricks. He just hits, kicks, and strangles! That’s all he needs to win. Sanada, Evil, you will both be twisted, cracked and broken to pieces! “Don’t get cocky, assh*les!” As for Naito, that “son of a b*tch”, have fun with Taichi. Will Suzuki-Gun sweep LIJ when they clash over championships? EVIL VS Zack Sabre Jr! The Submission Master has already beaten the King of Darkness multiple times, such as the New Japan Cup 2018 and G1 Climax 28 tournaments. But it doesn’t matter how many times you win, but that you keep winning! 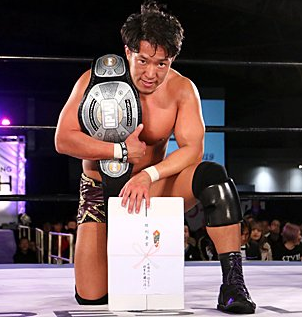 Will ZSJ keep winning so that he and Suzuki will both beat LIJ again when the titles are on the line? Or will a shocking turn of the tides be more than enough to prove Everything is Evil? ZSJ already tells Evil the tag belts will be his and Suzuki’s. But Evil tunes it out as they make last preparations. The bell rings and fans are on Evil’s side like they were Sanada’s. Evil and ZSJ circle and tie up. ZSJ gets a waistlock but Evil standing switches. ZSJ switches but Evil does again, so ZSJ gets the wrist for a throw. Cover, ONE, and the two stand off. Fans applaud as Evil and ZSJ go again. ZSJ lunges but Evil gets away. They circle and Evil calls for a test of strength. ZSJ accepts and they tie up, but Evil has ZSJ with just one arm. Evil brings ZSJ to his knees, and gets both hands. ZSJ tries to power back but Evil brings him back down in the knuckle locks. ZSJ tries once more, and he spins to a reversal. But Evil reverses so ZSJ reverses, they go around, ZSJ goes to Pele the arm but Evil gets clear. Evil goes to senton but ZSJ gets clear. ZSJ Penalty Kicks but Evil dodges! ZSJ headbutts and headlocks but Evil powers out. Evil dodges the boot to run ZSJ over with a shoulder! Fans cheer as Evil looms over ZSJ. Evil drags ZSJ up by the wrist and wrenches. ZSJ grabs hair but Evil finishes the twist. Evil wrenches again and comes around for chicken wings. ZSJ resists so Evil just pulls back in the arm Bow ‘n’ Arrow. ZSJ stands and works to turn things around, but Evil keeps ZSJ facing forward! They go around as ZSJ tries again but Evil uses leverage against him. ZSJ endures but refuses to quit. ZSJ tries another turn and gets it, only for Evil to spin it back! Evil pulls back more but ZSJ continues to endure. ZSJ gets up and they more around. ZSJ arm-drags but Evil just drags ZSJ back in! Another try but another reversal back, ZSJ is still stuck in the hold. Evil pulls and digs in a knee. ZSJ works to flip, drags Evil and and hammerlocks an arm while going after the legs! ZSj wants the arms but Evil gets a ropebreak! This is truly a chess match between Evil and ZSJ as we go to break. NJPW on AXS returns and ZSJ kicks Evil against ropes! ZSJ stands on then sits down on Evil to get the arms! Evil endures as ZSJ twists to a hammerlock, then stomps it! ZSJ boots Evil down, then wraps an arm around the bottom rope! Evil endures and Red Shoes counts, but ZSJ lets up at 4. Fans rally for Evil but ZSJ kicks Evil down. Evil eggs ZSJ on but ZSJ boots him in the ribs! ZSJ toys with Evil like Suzuki did with Sanada. Evil gets up but ZSJ is on him with European Uppercuts! ZSJ uppercuts Evil into a corner, then runs in to boot him! ZSJ grinds his boots in but backs off at 4. He grabs Evil by an ear then hooks the nose before going to a cravat. ZSJ headbutts the ribs then cravats and snapmares, to tweak Evil’s neck! Fans continue to rally for Evil but ZSJ circles him like a shark. ZSJ drags Evil up for another cravat, but Evil endures the three-quarter nelson wrench. Evil hits back and gets free, but runs into the Abdominal Stretch! But then Evil pops out and turns it around on ZSJ! Fans applaud but ZSJ finds a way out quick. ZSJ whips but Evil reverses. ZSJ goes up then under but into a sidewalk slam! Fans rally again as both men are down. Evil and ZSJ crawl to opposite ends before sitting up. Evil runs in but ZSJ boots, only to be blocked into a clothesline! Running bulldog, and Evil fires up again! Evil hits the back senton! Cover, TWO! Into a Fujiwara! Evil makes ZSJ endures a hold but ZSJ gets up quick, only to get a forearm shot! Evil scoops for the Fisherman but ZSJ slips out to the Octopus! ZSJ grinds his elbow in then shifts his grip for a grounded stretch! Evil endures as ZSJ grabs the other arm! ZSJ is so good it’s hard to tell if this is Hurrah, but it doesn’t matter, Evil manages a ropebreak! ZSJ lets go but the damage was done to the arms. Evil clutches each shoulder while ZSJ catches his breath. ZSJ is back on Evil with a wristlock, then a shoulder breaker! Evil gives ZSJ a shoulder breaker! 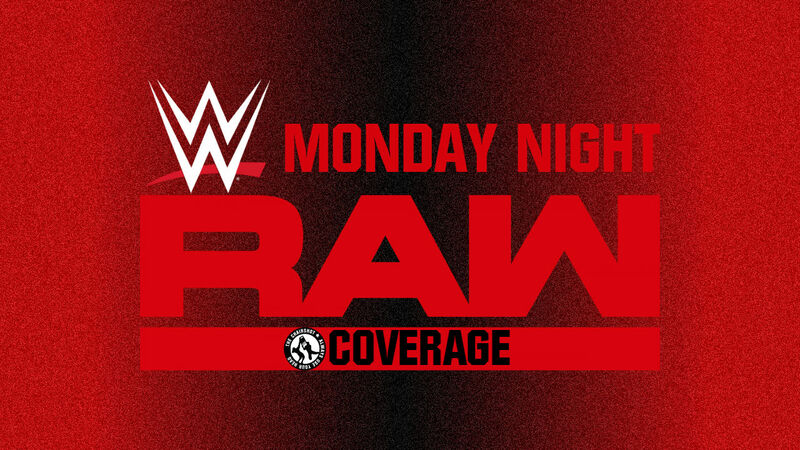 ZSJ EuroUppers and runs but Evil goes to the corner, only for Evil to run into ZSJ’s takedown into a triangle! Evil endures and deadlifts ZSJ! Powerbomb! Both men fall but fans fire up! ZSJ rolls out to the apron while Evil sits up. Evil goes at ZSJ and rocks him off to the floor! Evil fetches ZSJ and brings him to the ramp. He slashes the throat and reels ZSJ into a fireman’s carry. But ZSJ slips to a sleeper! Then climbs around to a hoverboard kimura! Evil endures and powers thorough, FISHERMAN BUSTER on the stage! Evil roars while we go to break. 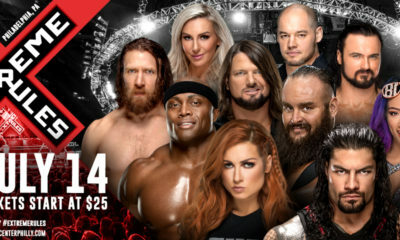 NJPW on AXS returns while both men are still down on the ramp. Red Shoes starts the ring count and Taka Michinoku coaches ZSJ up. Evil sits up first at 11 and stands at 13. He roars and drags ZSJ up at 15 to head to the ring. The count reaches 17 and Evil puts ZSJ in at 18! Evil drags ZSJ up, fireman’s carry, DARKNESS FALLS! Cover, TWO!? ZSJ survives but Evil is not deterred. Evil drags ZSJ up again and slashes the throat. Evil stands ZSJ up, but ZSJ grabs the arm and tweaks it! Point blank Penalty Kick! Both men are down again and ZSJ undoes his wrist tape. ZSJ’s arm is clearly in bad shape but he refuses to quit. Evil is on ZSJ with haymakers, but ZSJ gives a EuroUpper! But that arm is hurting more from that, and Evil comes back with a forearm! Evil eggs ZSJ on so ZSJ fights through pain to EuroUpper again! Evil hits back and ZSJ staggers. ZSJ EuroUppers but Evil double chops him off his feet! 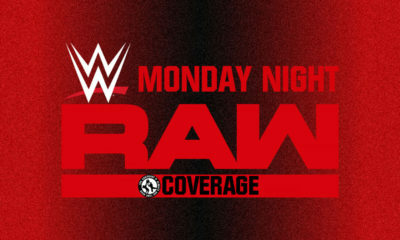 Evil runs corner to corner, big corner clothesline! Evil drags ZSJ up for more forearms, and then eggs ZSJ on again. ZSJ EuroUppers then Penalty Kicks! Cover, TWO! ZSJ is too tired to be frustrated but Taka keeps his mind in it. ZSJ drags Evil up as fans rally up for Evil. Facelock but with one arm, ZSJ can’t get a proper guillotine. ZSJ scoops but Evil slips out! Evil deflects ZSJ’s kick to Red Shoes then SUPERKICKS ZSJ! ZSJ gets to a corner and Evil runs in for another big clothesline! Evil roars and drags ZSJ up again to the top rope. He climbs up to join ZSJ but ZSJ gets him with an abdominal stretch on the top rope! ZSJ does what he can before Red Shoes counts 4, then sits back down. Taka wants ZSJ to be careful as he goes after Evil’s arm. Evil headbutts ZSJ, then again. Evil stands ZSJ up, SUPERPLEX! But they crash down so hard, Evil can’t cover. Evil doesn’t care, he runs and LARIATS!! Cover, TWO!! ZSJ lives and Evil still hasn’t evened the score. But Evil drags ZSJ up again, spins, STO denied intot he EuroClutch!! TWO!! Evil surprises himself that he escaped! ZSJ kicks the arm then grabs the other to Pele it! Penalty Kick blocked! Evil forearms, spins but into a backslide! EUROCLUTCH, TWO!! Fans are at a fever pitch while both men catch their breath. ZSJ EuroUppers but Evil spins and deflects to kick back! Evil roars, drags ZSJ up, point blank clothesline! He drags ZSJ up again, spins him, but STO is denied into a victory roll! EuroClutch but Evil slips out, EVERYTHING IS EVIL!! Cover, Evil wins!! FINALLY the King of Darkness defeats the Submission Wizard! Evil breaks the singles curse, but will he and ZSJ be able to do this all over again when the IWGP Heavyweight Tag Team Championships are on the line? 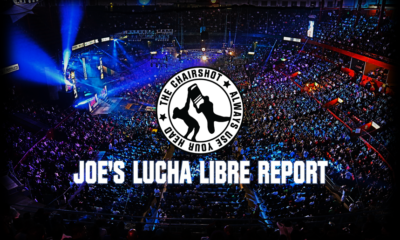 A great hour for NJPW to give us more of the LIJ VS Suzuki-Gun story. These two matches alone were great and you could feel the story in each of them. Sanada VS Suzuki was similar to Sanada VS ZSJ from before, as Sanada is the underdog in submission ability but he’s still good enough to give his opponent a run for their money. Suzuki still wins because in singles ranks, Suzuki is still above Sanada. But judging from the ZSJ VS Evil rematch, the tag team match could go either way. Or I should say “could’ve gone”, as we all know these are encores from the original airings on New Japan World. But either way, Evil VS ZSJ was an instant classic because of the story going into it, how it was shown in the match, and the twist that Evil won! That was a great part, and could change things for how Evil VS ZSJ goes in singles competition down the line. Also I liked that Evil winning was such a shock, the graphics apparently glitched out because it wasn’t expected. That alone was a great little moment in itself for this presentation of the match.